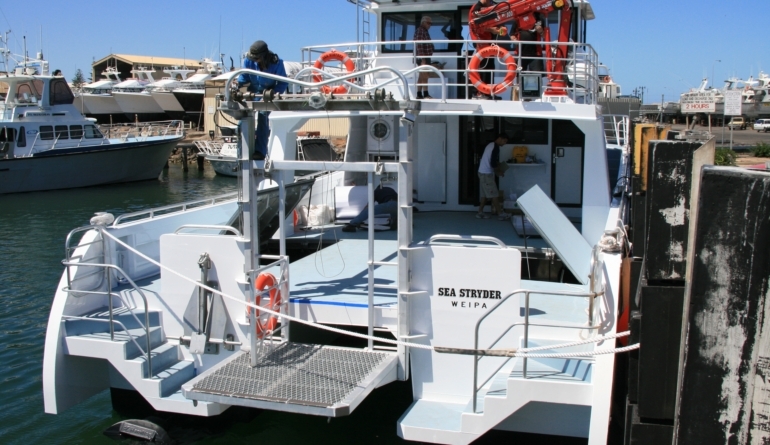 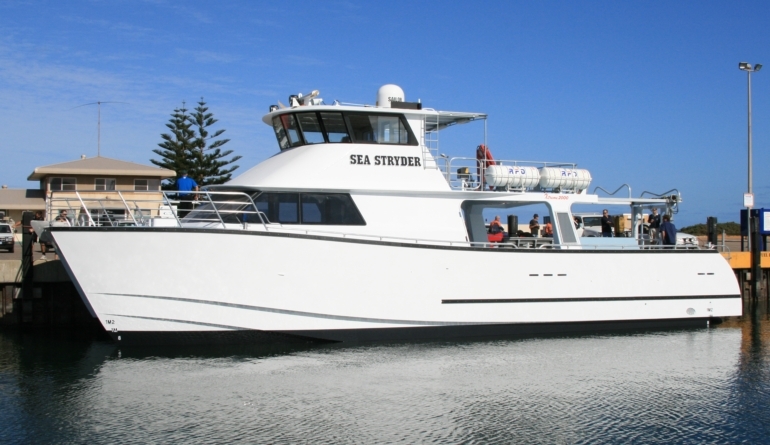 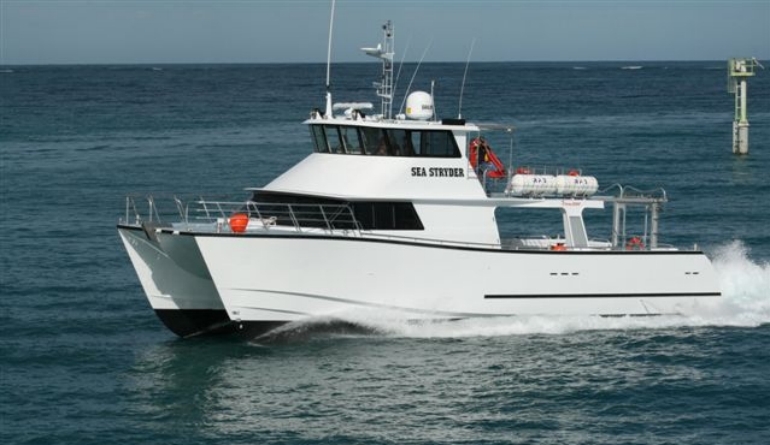 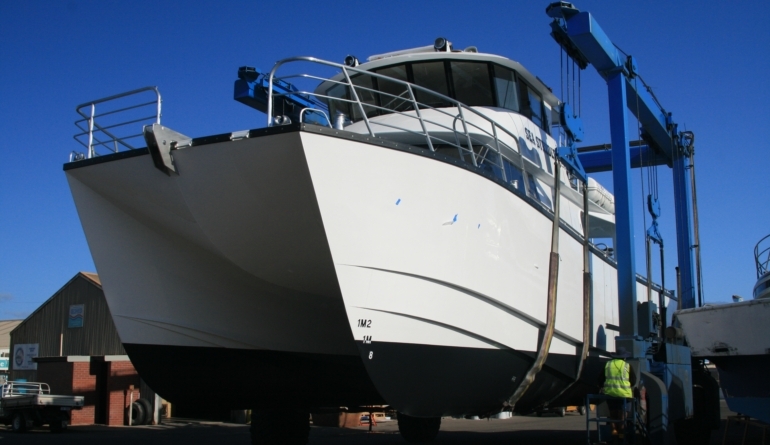 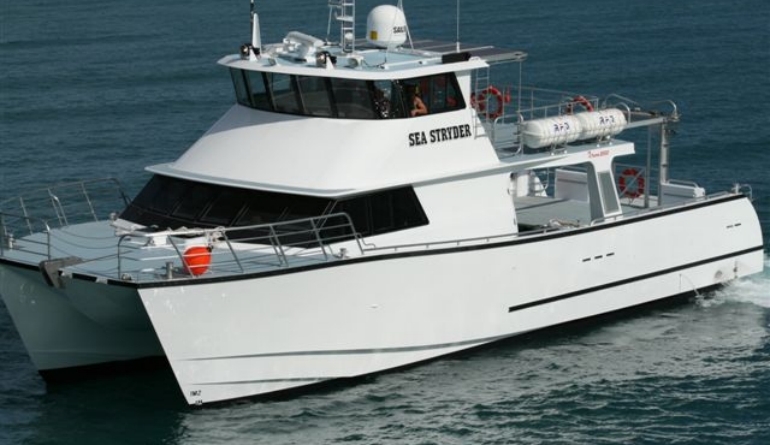 “Sea Stryder” was launched on October 17th, 2007 in Geraldton, Western Australia, by the builder Xtreme Marine who produced an excellent vessel of a very high build quality. 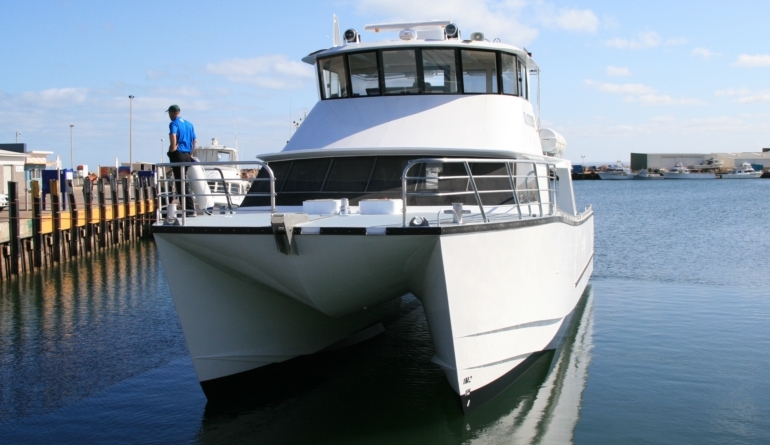 Sea trials showed excellent results. 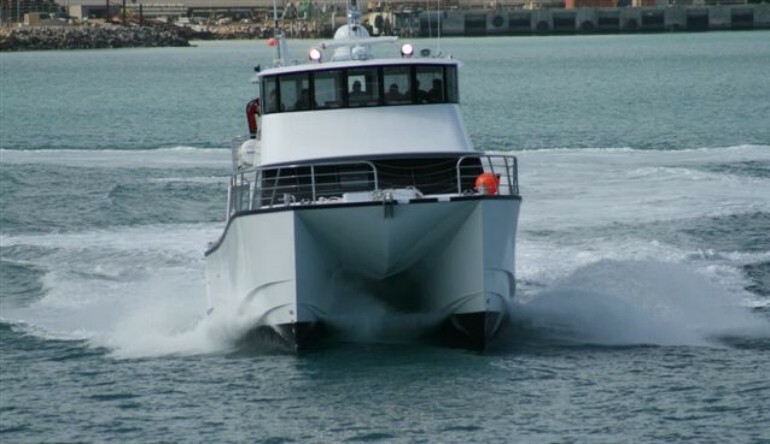 With 2,000L fuel and 15 personnel the vessel achieved 28 knots. 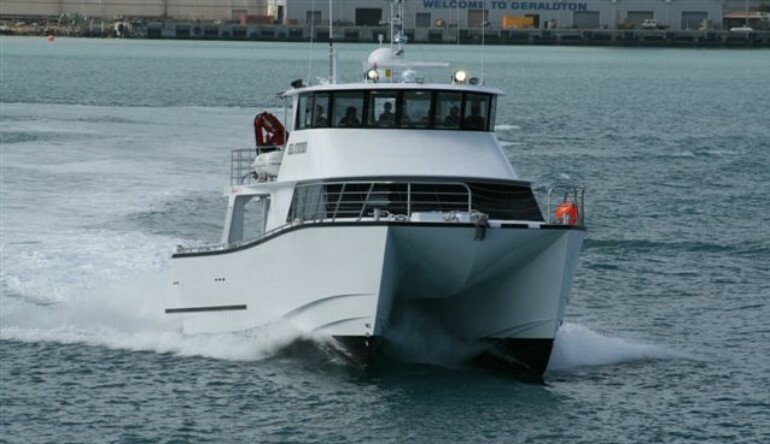 Then we filled the fuel to 12,000 Litres (Overload Mode) and trialed with crew to achieve 24 knots at full RPM and 17 cruise. 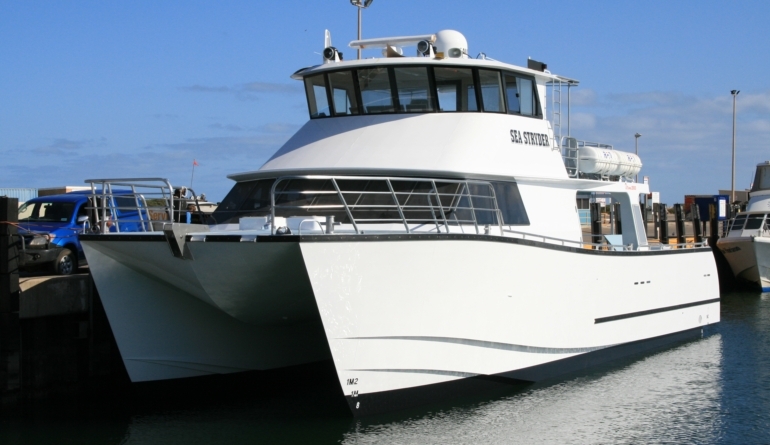 The vessel will mostly operate somewhere between these two loading modes. 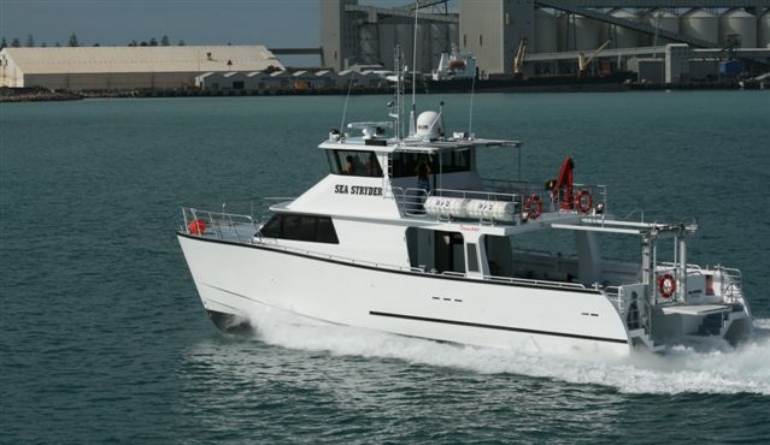 Designed specifically for the operations of Carpentaria Contracting, who are based in Weipa in Far North Queensland, the design features twin Caterpillar C18’s coupled to Hamilton 422 Jets. 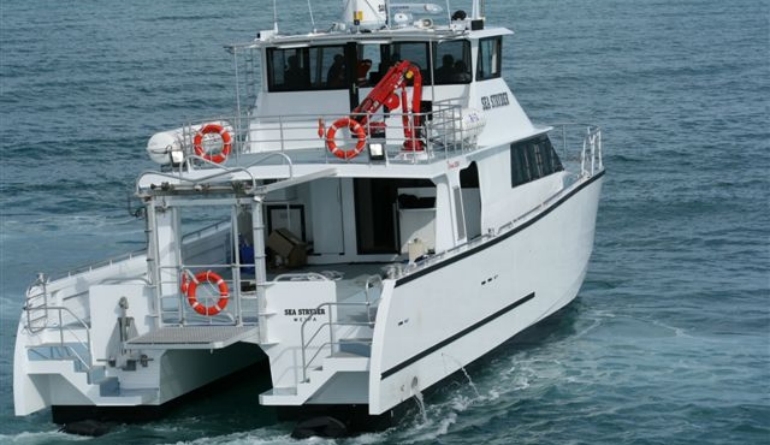 The vessel has a typical GMD high tunnel and generous hull volume to contribute to the offshore sea handling capabilities. 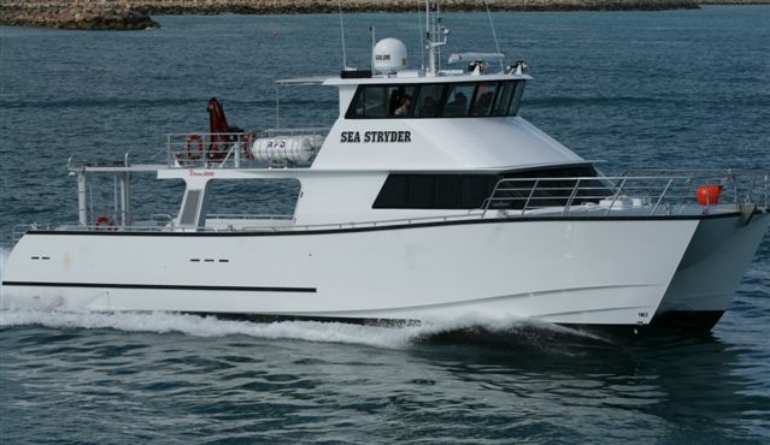 Two outstanding features during the trails were the incredible dryness due to perfect chine and spray strake design AND the very soft ride. 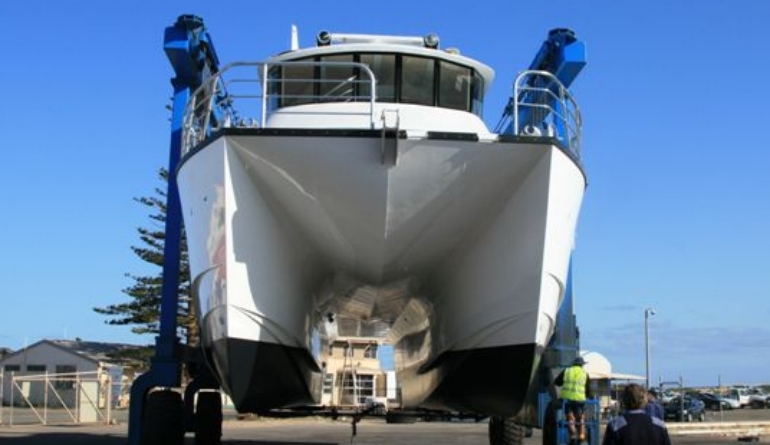 This very successful hull is also used on our well known range of wind farm service vessels built by Alicat Workboats in the UK. 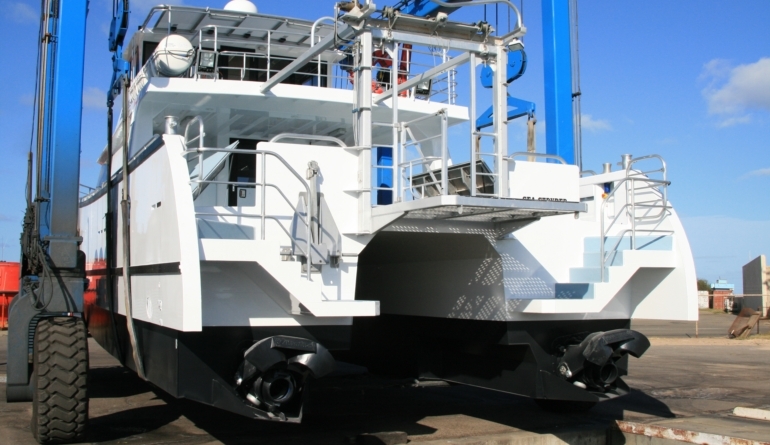 Suggest 2 x 1,200 HP and 2 x Hamilton HM461 Waterjets for increased performance.